Don’t trust the copies: Murano Glass is unique and easily recognizable. But let’s start from the beginning. During your Venetian vacation it is natural to desire a characteristic souvenir that is able to evoke many amazing memories from your unforgettable trip. There are many objects that can do the trick, but you are looking for the product that is certified Artistic Murano Glass. The Artistic Murano Glass, renowned throughout the world, is a Venetian Excellency. It is an emblem of Made In Italy object and is a certified product loved by many who enjoy beautiful and quality items. 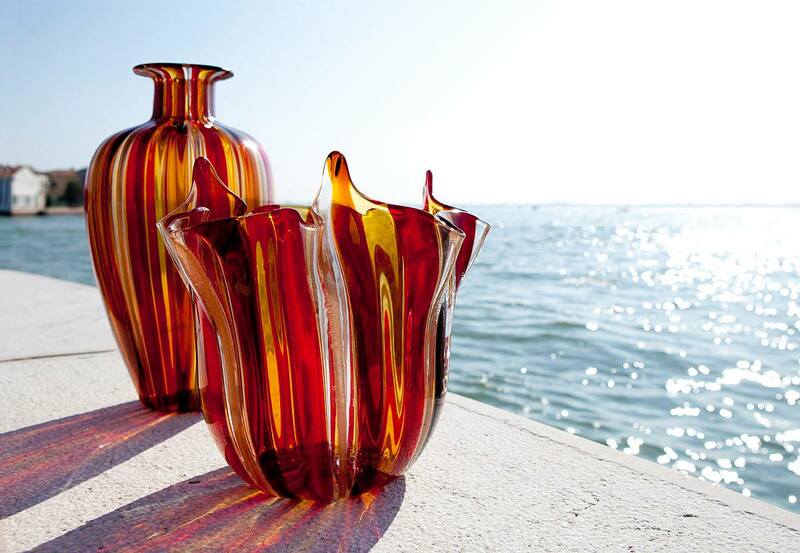 From small jewelry to refined vases, to little elaborate glass beads that adorn lamp shades, the Artistc Murano Glass is art that is produced in the glass factories on the lagoon island and is transmitted by master glass blowers generation after generation. It is a pillar of Venetian tradition. For all these reasons, Murano Glass is often replicated, and very poorly most of the times. Fortunately, there is an easy way to recognize authentic Murano Glass by a certified guarantee mark on the origin of the product. The Marking was made to protect the “Made In Italy” logo across the world, and at the same time assure the consumer he is in possession of an authentic piece that is a result of century old artistic tradition stemming from the island of Murano. This mark makes sure the object is made from Murano by traditional technique and specific criteria that meets certain standards. The businesses that produce Artistic glass in Murano are authorized to have the Marchio Vetro Artistico Murano® and all satellite stores that sell these products will have the unmistakable logo that guarantees the authenticity of the product’s origin.